The Supply Chain Matters blog continues its series of unveiling 2019 Predictions for Industry and Global Supply Chains. In this Part Seven posting, we highlight Prediction Seven, addressing the expected business prioritization attached for various supply chain management focused advanced technology investment areas in the coming year. Part Four highlighted a continuing prediction that the threat of cyber-attacks involving supply chain management processes are inevitable. Part Five addressed areas of supply chain management digital transformation and the need for strategic and tactical business cases. Part Six highlighted our carry-over prediction related to various multi-industry supply chain transitions toward Digitally-Enabled Response Networks. 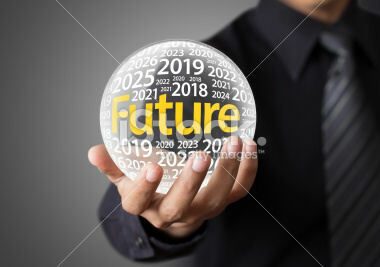 2019 Prediction Seven: Continued Shifting of Business Focused Advanced Technology Investment Priorities and Added Supply Chain Management Focused Technology Market Developments. Prediction One indicated a lot of caution on the part of senior business and financial executives to hold-off on major investment or change initiatives pending some signs of stability in overall geo-political and trade environments. Prediction Five calling for revised digital transformation roadmaps based on line-of-business, talent and business process prioritization, which will surely influence advanced technology investment and market growth timelines. Prediction Six calling for the multi-year transition to Digitally Enabled Responsive Networks in supporting Omni-Channel customer fulfillment needs. Each of these prior predictions and other specific business factors add weight or deterrence to technology investment priorities in the coming year. What will be clear, however, is that technology investment will serve as a core tenet for continued industry competitiveness and innovation. Building concerns and legislative efforts directed on the overall accountability of safeguarding personal and customer data will be another determinant. The European Union’s General Data Protection Regulation (GDPR) adopted in May 2018 may well be the forerunner to other significant country, state legislative mandates that will occur in 2019. The continuing fallout as government and business interests gain more understanding of the growing scope of cyber-security threats, adds to the increased emphasis of having a defined and effective data protection plan for any major business. Data protections invariably lead to the supply and customer focused networks, and thus supply chain management teams will be caught in the middle of such forces, causing redirection of technology priorities that are likely top-down initiated. Significantly rising customer expectations and the race for industry innovation continues to motivate businesses to accelerate adoption of Cloud-based platforms supporting supply, customer demand or industry B2B Business Networks. Attempting to rip and replace existing legacy processes, applications and technology is far too disruptive, time-consuming and expensive without now considering a Cloud-based adoption strategy. In 2018, enterprise technology, specialty supply chain management, B2B electronic messaging and specific Cloud-based industry-focused technology providers continued to enhance the breath of technology, ease of use and network-wide integration of their platforms. There was also movement in the formation of industry clouds, both broad, and in extensions of synchronized business process support needs. One example has been in the consumer goods sector where contract manufacturers and co-packaging suppliers have been increasingly linked together in overall supply, demand and customer fulfillment decision-making. There have been other efforts expanded in industries such as automotive, commercial aerospace, high-tech and consumer electronics. A late 2018 acquisition byB2B Business Network technology provider E2open introduces the notion of connecting ocean container transport scheduling and movement data with supply and demand network business processes and decision-making. Enterprise information management technology provider OpenText’s acquisition of the Covisint network and the later acquisition of Liaison Technologies opens broader any-to-any integration of processes coupled with identity security credentials across B2B networks. Over the next two years industry supply chain management teams can anticipate leading B2B Business Network platform technology providers to broaden any-to-any data, information and decision-making support needs in areas of external transactional, identity, decision-support and operational Edge systems integration. That will likely include Application-to-Application, Cloud-to-Cloud, Device-to-Cloud and streaming data stream integration capabilities across networks. More quickly evolving areas include industry Clouds focused on operational systems, actual customer machines and equipment operating in respective industry environments generating rather useful data related to use, conditions and purpose. We will feature added research profiles in this area in 2019 along with profiling efforts to leverage existing electronic messaging and B2B Business Networks into broader capabilities in harvesting insights and more-informed decision-making. We predicted that Blockchain technology pilots would gain added momentum or interest levels in 2018, and indeed, business and industry media is flooded with blockchain related news. Some could make the argument that some tech vendors were overhyping the technology. Concerns related to the speed and scalability of blockchain systems, and the lack of generally accepted global standards related to distributed ledgers, along with challenges related to underlying technical components still remain. Long-term cost deployment is another factor with some specific enterprise level technology vendors attempting to cash in on locking-up key industry influencers. The need for verifiable capabilities to track-trace and manage activities and decision-making across multi-year supply chains remains an important objective. Blockchain proof-of-concept pilot process efforts underway are indeed attempting to address such challenges for specific business needs in either item level food safety traceability and visibility, ocean container shipments of hazardous materials, added integrity to global trade and finance, as well as other specific use cases. We believe that pilot process and learning will continue in 2019 with perhaps the uncovering of some compelling business cases for wider deployment. What is resonating more in the market is the coupling of Blockchain with Internet of Things (IoT) technology for certain business use cases related to the conditional state of physical objects. We believe that wider-scale multi-industry blockchain operational deployments remain in the 2020-2021-year timeframe. For 2018, we predicted some pause or narrower scope in IoT technology deployment efforts because of the increased sensitivities toward data security or data vulnerabilities. Our check-ins with systems integrators and tech providers have reinforced that for many of the new IoT enabled pilots, data security concerns and remedies have indeed been expressed by customers, with technology and services providers paying close attention to such needs and sensitivities. That stated, and similar to Blockchain enabled technologies, we predict that pilot deployments and overall process learning will continue in 2019. Our belief is that wider-scale, multiple-process or line-of-business deployments will remain deferred until the cyber-threat landscape has built more creditable defenses to assuage stockholders, or until individual IoT technology providers add more comprehensive data and information protection safeguards, including conformance with global-wide information security standards that include encryption and autonomous monitoring of data security. Positive efforts are now underway for select enterprise technology providers. This year turned out to be the renewed discovery of artificial intelligence and machine learning leveraged to various needs in supporting manufacturing, procurement, supply chain planning, customer fulfillment and other applications and decision-making processes. The opportunity provided is the ability to transform supply and customer demand network capabilities in areas of increased automation, smarter interactive devices and more preemptive operations to avoid unplanned downtimes or business disruption. Elements of machine-learning have had successfully be applied to supply chain planning process support where advanced analytics and process learning can provide planners with far more timely insights. Some new start-up technology providers are leveraging this technology to enhance enterprise or line-of-business integrated business planning processes that bring together sales, operations and business financial planning integration and synchronization. Technology providers rightfully toned-down their overall AI hype and instead messaged on how such technologies can address business challenges for added worker productivity, providing added quality or safety assurances or removing drudgery in day-to-day processes. That stated, there is a noticeable groundswell of concern being raised on the applicability and wider deployment of these technologies, particularly in this current era of inflammatory political discourse. Our belief is that AI based technology will be deployed to initially support obvious process challenges related to overcoming drudgery while the more advanced utilization of such technologies will have a more elongated change management readiness curve. Wider scale multi-industry deployments are within a one to three-year window depending on industry and business size determinants. One of the more active areas of deployment that will show promise in the 2019-20 period will be the leveraging of AI/machine-learning with advanced robotics in automating physical pick and pack activities associated with higher levels of online orders incurred by retailers and direct-to-consumer product providers. The business case focuses on overcoming shortages of customer fulfillment labor required during peak order periods, the ability to conduct customer order fulfillment in a combination physical and online retail facility, or the ability to compete more directly with Amazon which is reported to be working on such capabilities. A grouping of innovative start-up vendors have been provided millions in start-up funding to develop automated mechanical technology that leverages advanced machine learning. Digital Twin is the application of software to represent the various characteristics of a physical object within a particular process. More and more technology providers supporting various supply chain management process support areas have started to recognize the customer benefits of this technology. We believe that in 2019, more business use-cases and proof-of-concept efforts will emerge as various industry supply chain management teams leverage interaction with physical objects to manage new, more promising business models or in testing the scalability of processes and capabilities. That includes decisions executed at the Edge layer, closer to physical equipment due to latency, bandwidth, security or other needs. Emerging concepts of Software Defined Edge, where Edge computing is positioned as a natural extension of Cloud-based business operations will begin to emerge. We predicted that 2018 will likely feature additional M&A activities among large enterprise, industry-specific and specialty best-of-breed Cloud technology providers. The strategy among such providers would be about building scale and market influence. In late 2018, one on the largest acquisitions in enterprise technology involved IBM’s announced acquisition of RedHat in an all-cash deal valued at $34 billion. The move represented the third-largest in the history of information technology and amounted to IBM’s largest ever acquisition. There was a further prevailing tone that IBM may have overpaid and/or over reached. Other ERP and enterprise technology providers continued with tuck-in acquisitions to augment specific business process support, advanced analytics or decision-making capabilities. We predicted one or two high-profile Cloud technology providers to stumble in 2018 because of a flawed business model or market missteps. Looking back, there were rather minor stumbles. We remain in the belief that such stumbles will occur in 2019. We now predict 1-2 major M&A announcements involving supply chain management focused technology providers in 2019 especially in market attractive areas such as planning and analytics, logistics and online customer fulfillment, B2B Business Networks and Cloud-based platforms. The logistics and transportation sector has garnered a lot of outside investment, but that area may moderate in 2019 because of now existing high valuations of the hottest companies. Supply chain management teams should expect a continued presence of private-equity influence across the advanced technology landscape since that formula has been successful for assimilating hot start-ups to be added to larger players. In the coming year, IPO activity should increase as the hottest supply chain management technology providers become more attractive for growth investment and as private equity players seek to execute exit strategies before an economic downturn significantly impacts U.S. equity markets. This concludes our highlights of Part Seven of our 2019 Predictions for Industry and Global Supply Chains. In the next posting in this series, we will highlight our prediction for converging forces of disruption impacting the global logistics and transportation industry in the coming year. In the meantime, we welcome reader feedback on predictions along with submissions of added predictions in specific industry settings. if your organization requires assistance in preparing for challenges in the upcoming year, please get in contact with us for added information on any of these predictions. PreviousWas FedEx’s Most Recent Financial Performance a Sign of What is to Come for Global Trade Volumes in 2019?